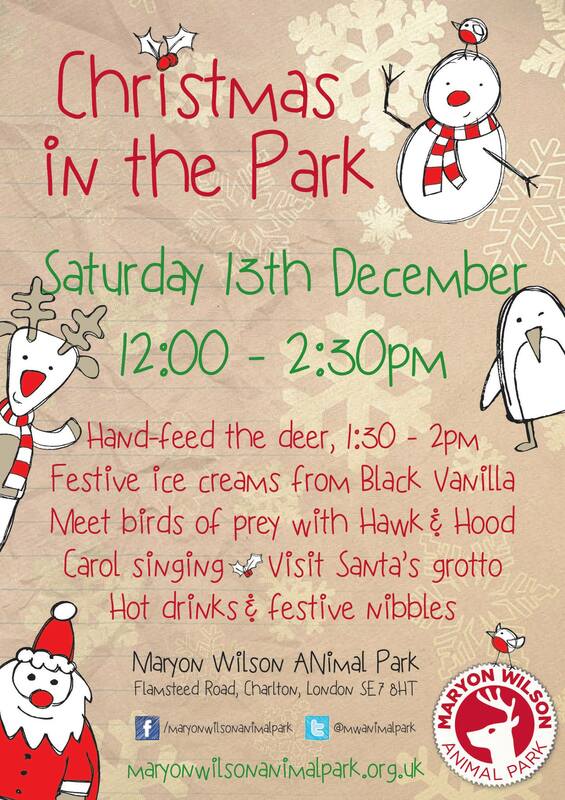 Maryon Wilson Animal Park are holding a Christmas event next Saturday, 12-2.30pm. They’re promising a chance to hand-feed the deer, eat ‘festive ice creams’, sing carols, and visit Santa’s grotto; plus hot drinks and nibbles. You can find Maryon Wilson Animal Park on Facebook, and also on Twitter. Festive goings on in Maryon Wilson Animal Park this Saturday, with mince pies, hot chocolate, seasonal singing, and a chance to feed the deer. Come along to support the volunteers, and donate what you can to help keep the deer in the park. It’s all happening 2-3.30pm, Saturday December 22nd in Maryon Wilson Park. You can follow the Animal Park on Twitter: @MWAnimalPark.